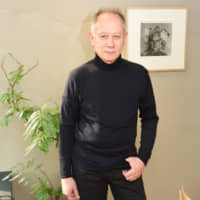 Internationally, he is better known as the face of “Japanology Plus” on NHK World, which explores elements of Japan and features interviews with various experts. But the sequence of events that set him on the trajectory to his current life and career were surprisingly random, even beginning on a bit of a whim. “I knew practically nothing about Japan when I decided to learn the language, so it’s hard to say that I had an interest in Japan. I just happened to be interested in languages,” he said. Studying classical languages like Latin and Greek since he was a child, he explained that the intellectual puzzle they offered seemed to prove some sort of allure. “Everybody always wants to know (what pushed me toward Japan), but honestly the decision was embarrassingly random. I was paring down all the possibilities (for majors), going through a whole range of languages, and when Japanese came up, it was a weird kind of ‘yes, I like that’ reaction, for no plausible reason,” he said. But even then, his life path was not a beeline for Japan. “I didn’t come here straight away. I had a year off working in London, I had no idea what I was going to do with my degree,” he recalled. Having had enough of kanji practice, he took a job at a record shop. “I was always a music nut. I went to work in a record shop for what turned out to be under a year,” he said. Immersed in vinyl and just barely paying the rent, he turned his attention to Japan when a colleague alerted him to a help-wanted ad placed by a Japanese music publisher in a trade paper. Two months later, in July 1974 he was getting off a plane at Haneda Airport. Being the only foreigner in the firm helped speed his mastery of the language. A chat with a friend in the industry led to an audition that landed him his first radio gig. At that time, the script and tunes were all prepared for him. He was itching to do radio, but wanted to speak for himself and play his choice of songs. Over time, he was given more latitude. After a roughly six-year stint at the company, he also knew he wanted to do something else. He decided to move on after radio moonlighting; writing record reviews looked like it was set to facilitate his departure. 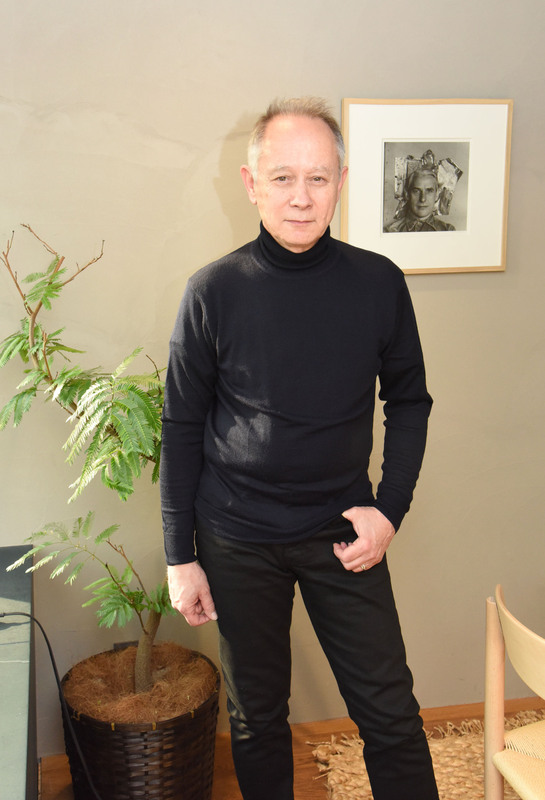 Serendipity stepped in again when Ryuichi Sakamoto helped him land a job at the management company of the band Yellow Magic Orchestra, after translating one of the famous composer’s songs into English. Over time he was given more free rein, relishing in compiling all of the songs for his programs. The self-dubbed freelance broadcaster works in TV and radio, but the latter is clearly his favorite hands down. His face lights up as soon as the conversation turns even tangentially to music. “What I always liked about music radio is that you could switch it on and hear things you didn’t really intend to listen to and feel like, ‘Wow, what’s that?’ Unfortunately, that doesn’t happen so much now,” he said, lamenting. “Basically people have completely stopped listening to radio in this country and my take on the reason for that is because the listeners are not being served by the stations; the only people the stations are serving are the sponsors. Radio seems to be a dying species worldwide,” he said. Over the past few years he has discovered a new passion. “I’m really enjoying something that kind of grew out of humble beginnings in 2006. I started to get asked to do what I call ‘demae (food delivery) DJ,'” he said. His demae DJ work has snowballed over the past few years and he says he is booked almost every Saturday for the next three months. These gigs involve Barakan at a venue in front of an audience playing music and talking, akin to a semi-interactive radio show in front of an audience. “At first, I wondered why people would pay to come hear this when they can hear it on the radio for free. But listening to good music in good audio quality and in a group is sometimes more satisfying than on your own. You get high on the music,” he said. When asked about words to live by or that he would like to convey to the masses, Barakan gives two music-inspired gems. “I often quote a line from Bob Dylan’s ‘Like a Rolling Stone’: ‘When you ain’t got nothing, you got nothing to lose.’ It helps me to remember how nice it was to be free and adventurous, like when I came to Japan with just one suitcase, a guitar and no savings. I always like to keep in the corner of my mind that idea to stop myself from getting too conservative,” he said. Asked if there are any words he would care to plaster on a billboard in the middle of Shibuya for everyone to see, he opts for a quote from Jerry Garcia of The Grateful Dead that is a “hipper” version of the golden rule — “Everyone just try to be nice to everyone.” Wise words if ever there were any. Born and raised in London, Peter Barakan grew up in a home with a slightly international bend with an Anglo-Burmese mother and a father hailing from Poland. After graduating from the University of London’s School of Oriental and African Studies, Barakan worked at a record shop in London before relocating to Tokyo to work at a music publisher. It was there he met his wife before later going to work in the management office of the Japanese band Yellow Magic Orchestra. Finding his calling as a radio presenter, he currently hosts three major radio programs that have run for more than a decade. When he was a boy, he and his younger brother were given guitars, and his brother went on to become a professional musician. “I realized I preferred to take other people’s really good music and play it on the radio,” Barakan said.